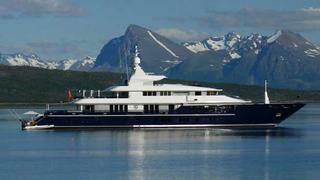 News just in from Jim Evans at SuperYachtsMonaco of a €10 million price cut on the 68m motor yacht Triple Seven. Delivered in 2006 by Germany’s Nobiskrug yard, Triple Seven has had significant upgrades made by her current owner, including a new audio-visual system featuring a 108" plasma screen. Accommodation is for 12 guests in a master suite, three double staterooms and a twin cabin plus two Pullman berths and twin 2360hp MTU engines give her a range of 10,000 nautical miles at 12 knots. Lying in Imperia, Triple Seven is now asking €39.75 million.